My eyes are still closed, I can’t see and my sisters and I were cold and we were afraid of all the loud noises and the vibration of the ground around us. We were so hungry and waited for our mommy to came back, but she got afraid when the loud noises and vibrations started and ran away, but I knew she would come back. I tried to move around but my sisters my mommy, when will she be back? The noises became harder and closer and my two sisters crawled as close to me as they could, we were all afraid but I tried to be brave and put my nose against them and tried to comfort them. Someone talked above us and I tried to get in front of my sisters, I wanted to be brave and protect them. The darkness was cold, and I shivered, but I am the only one that can protect my sisters. Something grabbed me behind my head and lifted me from the darkness, my eyes were still closed, but I felt the warmth on me. "Look what I found", the voice vibrated through my head, I tried to get away from it, but the thing that held me started to squeeze harder and harder and it hurt so badly. I gasped for air, my tongue outside of my mouth. "Stop! Stop it immediately, give it to me! Now!" that was the first time I heard her voice, I could not understand the words, but there was something in that sound that comforted me, so I moved my face to the sound and tried to go there. Then a soft warmth enveloped me as she brought me closer, closer to her, and although I could not see, my first scent of her calmed me down. "He is only a few hours old, what did you do to him, his whole body is quivering!" I melted into the warmth, then I remembered my sisters. I started to scream, she needed to help my sisters as well, "Hi, little guy, what is wrong? her voice was soothing, "Was it only him in the hole or was there more?" "Let me look," I heard the man's voice again that hurt me and I could not help it but I lost control over my bladder. "Oi, what the...." she exclaimed, I started to quiver again, but she burst out laughing, "It is ok, don't worry about it, but before I take you inside let us check the hole to see if you are alone or not?" her voice was so calm. "Jeanne, there is two more, let me get them out." My sisters, the man was getting my sisters, I scream as loud as I could, he must not hurt them as he has hurt me. The next thing I felt was my sisters’ bodies against mine, they were cold and afraid, but I tried to let them know it was ok now, or I hope so. We moved and then we were not outside anymore but inside. It was warmer and darker. “Ok, give them to me, you need to drive,” Mom One took us again and also placed us against her heart. The vehicle I was in came to a stop a bit later and we went into the house, I could smell that there was another cat there. Mom One took us in the house, we were safe and warm, but we were hungry. “Now, now, little guy, we will feed you soon,” she was stroking my head and my belly. It wasn’t long when I could smell it, smell the milk, it was not my mother’s but it was food. Mom One took me and then she gave me a bottle, it was not the same as my mother’s, but it was food and I gulped and gulped. The milk came out of my nose, but I wanted more. No, I want more, give me more, but Mom just laughed at me and stroke my belly and cleaned me. Moms were crying, they kept me close and keep stroking me. Why are you crying, where were my sisters? “Do you think he will die as well? Mom Two said I was too small to stay at home as I still needed to get milk every few hours. I wanted to tell her that I am a big boy when I realized if she thought that I needed milk I get to go with her to work. This was fun, every morning I will drive with her to work in a basket and when I get there, everyone cuddled me. I was so small that I fitted in Mom’s shirt pocket, it was the best place ever. Everyone cuddled me and gave me milk, my belly was full all the time and looked like a little balloon and everyone rubbed it. This was a wonderful life, I still missed my sisters, but I am warm and loved and I hope that they are happy as well. I went to work with Mom for three months and then she said I was too big, but I was just starting to enjoy it. I discovered new hiding places every day and everyone played with me. Mom scolded me a few times, she said I was naughty, but then she picked me up and buried her face in my round tummy. Mom has decided we had to move to a new house. It was fun, the new house was bigger and I ran full speed and discovered all the corners of the new house, I almost made Mom One fell and got a big scolding for that, but I was almost around the next corner. It smelled like a Ok, I see the water in the corner, I just need to get there. I can’t get up, why can’t I get up, my back legs do not want to work. Where is Moms? Have you left me here? I think I smell Moms, I think they are coming. Mom One looked me straight in the eyes, I can see the sadness and the question in it. I am not ready to die, I know my body was broken, but Mom if you believed in me we can do this. She smiled at me and stretched her hand out and stroked my head, I tried to lick it but I still felt dizzy. “It is ok, we will take him home, he is going to be ok. I can see in his eyes that he wants to fight this and we are not going to take that away from him,” thank you, Mom, we are going to do this. She lifted me up gently and cradled me in a blanket like a baby. This was my favourite position, or actually, second best, the best was when she put me over her shoulder and I took in the world from my perch. Mom carried me to the car and we drove home with me on her lap. Moms did not say much, Mom One just stroked my head, my ears, my chin, I could feel her love and knew she was worried. I put my paw on her hand and licked it, everything was going to be ok Mom. When we got home, Mom carried me inside and she held me whilst Mom Two made a bed on the ground for me and for them, they said since my back legs won’t work they were going to sleep on my level so that I can still sleep with them. Moms jumped up and down and cried and screamed, I have no idea why, but they could give me a bit of privacy, please. I am minding my own business and busy doing my business in the kitty litter they put alongside the mattress we slept on for the past three days. I have no idea what the big deal was, I have done my business a thousand times before and they never reacted like this. Ok, I am finished, I will even cover it up, so I stood up and scratched and scratched until it was covered. Luckily my back legs worked again as I got some serious carpet burn from pulling my lower half over the carpet, I am still a bit wobbly on all four legs, but Moms here I come. I just wished they will stop crying and screaming, where was the rest of the pack, I want to play. My body was not quite what it used to be, I walked with a little limp and my tail dragged behind me, but all the cats in the neighbourhood knew I was the boss. So now I stood on the front lawn and this cat thought he can come here and tackle me on my front lawn. Ok, he was like three times bigger than me, with a strong body but he was not going to come here on my turf and be my boss, I am not afraid of you. I pushed my chest out and gave a lopsided step forward, this was the line, buster, not one step forward. He looked at me as if he was going to tackle me, I gave another step forward, almost losing my balance. Buster, I warned you, he suddenly started to retreat, turned around with his tail between his legs and ran down the street. I turned around, they were all behind me, all my brothers and sisters that have joined our family through the years. There was Dennis, he was three times bigger than me, a bit of a bully but he always has my back. His brother Rubbish even bigger stood alongside him, they usually fight each other, but not when there was an outside threat. There was Fluffy, Sadsie, Quila and Chino, all of them behind me, I walked back inside the house, with my head high, I am still the king of the neighbourhood! Of course yes, what are you stupid, Mom, I love to drive in the car. I am going to tell the rest, they have to stay at home and I was going on holiday. At least, it was the holiday, Moms has packed the car and I can’t wait anymore. Mom One picked me up and put me on a pillow on her lap. We have just started the drive when I told her I wanted her to keep me in her arms, I needed to check the view and let everyone knew I was going on holiday. We drove for a while like that, but then I got tired, so I got myself comfortable on the pillow on Mom’s lap in the sun, sleepy now. I drifted back to being awake, Moms were talking and Mom One was stroking me, but the sun was getting hot. The movement of the car made me a bit groggy as I wanted to climb over Mom’s shoulder to the back seat, but she grabbed me and lifted me gently onto the blanket they have put down for me. I slept the rest of the trip on the blanket, when I started to wake up I saw Mom looked at me, yes Mom I love you too. I am fourteen years old and again in the hospital, I have broken my leg. Through the years I lost count how many times I had been in the have fought for me every time and I have shown them I am the best warrior, but this time I felt different. There was so much pain and all the drugs made me dizzy. A week has past and I still could not lift my head up, Moms has visited me every day, their faces told me that this was different than all the other times. Mom Two came late one night, I could not smell her and I only wanted to close my eyes and sleep. She asked the nurse if she could hold me, I had a needle and line in my front paw and a pipe in my throat through which they have given me food. Mom was crying, she sat with me in her arms for a long time, she talked to me and told me how much she loved me. I passed out in the middle, Mom I don’t feel very well. They took me to a room the next day and put me under a blanket in a bed. Moms got there not long after they have put me there, I could not focus anymore. Moms voices were far away, they sounded strange and tears ran down their faces. The man picked me up and gave me to Mom. Her tears dripped on me, I love you, Mom. There was a little prick as the man put a needle in my front leg. I started to lose my focus and Mom’s loving words became fader and fader until it stopped. She stopped talking, but I could feel her body shudder and her shoulders were heaving. It is ok, Mom, I can see my sisters in the distance, they are waiting for me. They have grown so big and we were going to have so much fun and I have so much to tell them. Mom my body was young again, I don’t limp anymore, I am going to run through the meadows with my sisters. Don’t worry Mom I will be safe, I know you always worry about me. See how I run, I am so fast, wait I can’t hear Mom’s voice anymore. Mom, I will be here, we will all be together again one day. 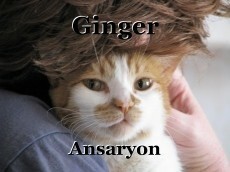 © Copyright 2019 Ansaryon. All rights reserved. This page was created in 0.3554 seconds.